Almost too pretty to eat, these succulent berries make a dazzling display that's sure to impress. 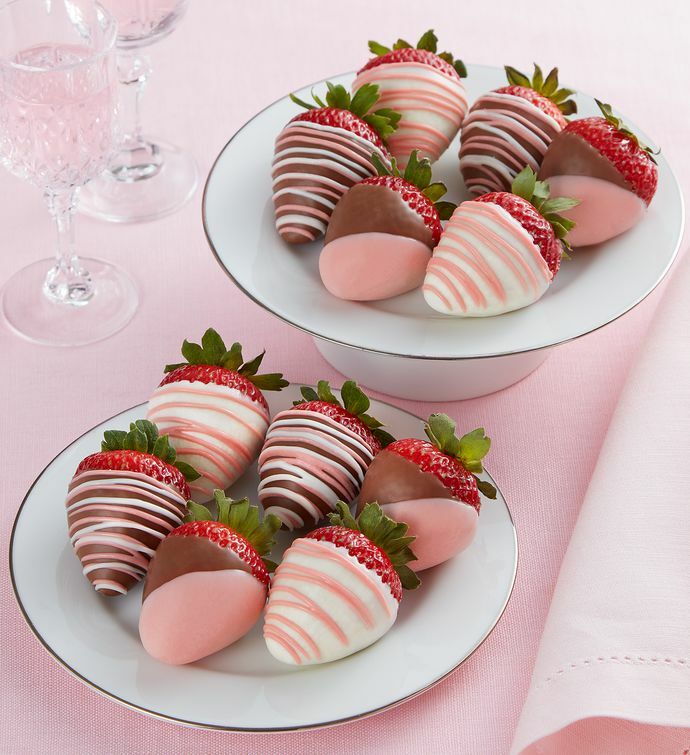 One dozen premium strawberries are hand-dipped in real dark chocolate, sweet white confection, or a mixture of chocolate and pink confection with some finished in decorative pink and white drizzle. A sweet treat to share with someone special, these berries ship overnight and arrive in a decorative Berrylicious gift box.